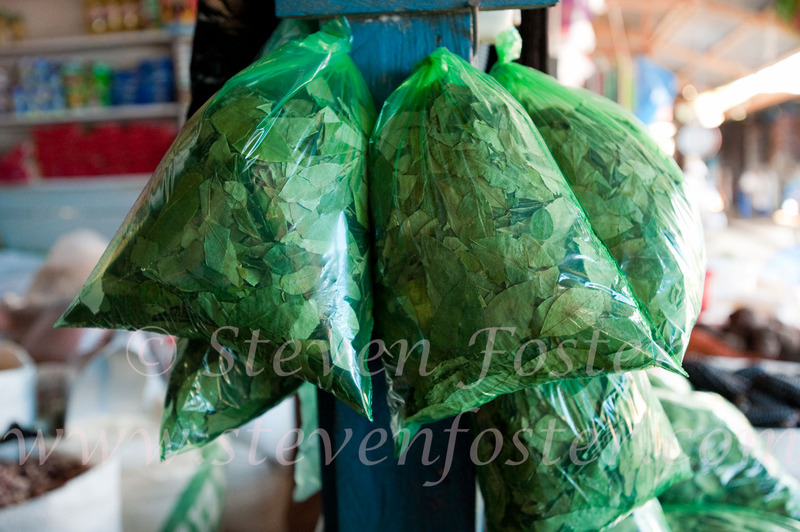 Photos of Erythroxylum coca, Coca, Coca leaves, Coca plants in flower and fruit, Coca ceremonial use, Coca in markets. 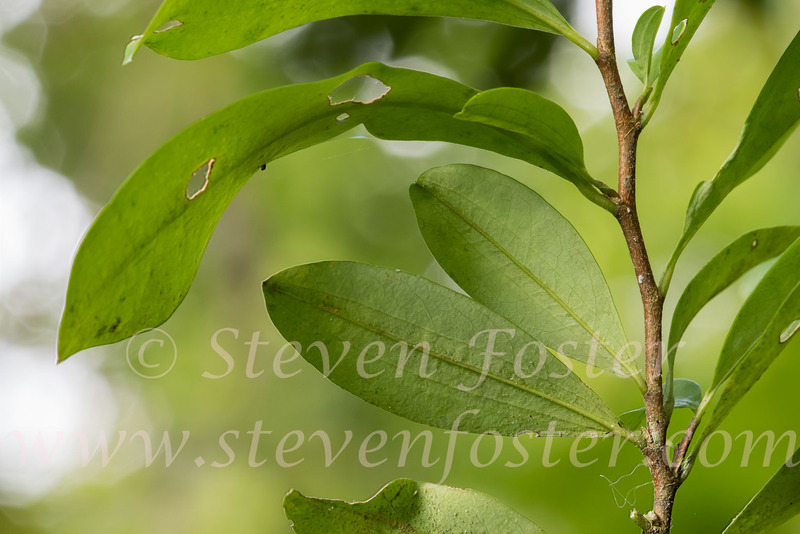 Erythroxylum coca. Coca has been grown and collected since pre-Columbian times for use by native coca leaf chewers in South America. Coca is an iconic food and medicial plant of South American traditions. Found in the Andes and adjacent regions of Amazonia, various local genetic variants are grown. The alkaloid, cocaine, extracted from the plant, its analogs, and derivatives are used in medicine as a local anesthetic. And, of course, the alkaloid is well known for its potential for abuse. 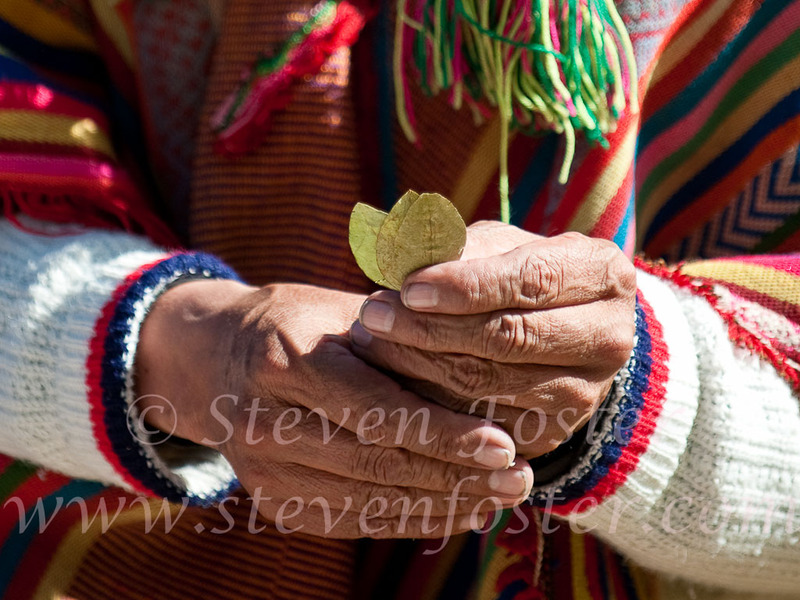 On the otherhand coca leaf and coca leaf tea are considered daily food stuffs among numerous traditional groups in the northwest of South America.